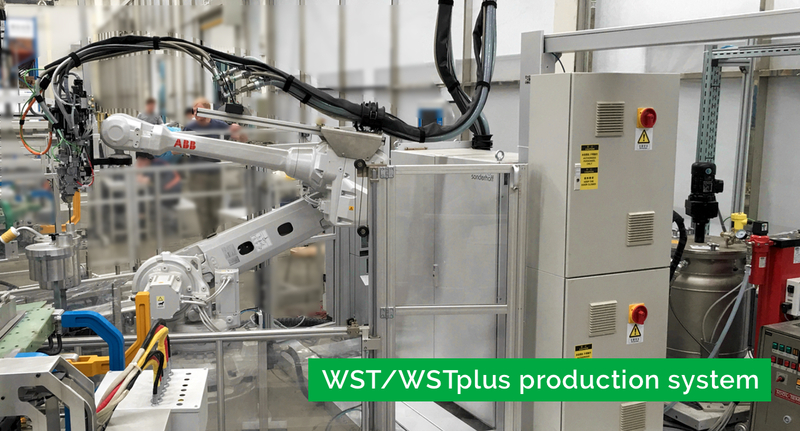 Customers who do not want to arrange the installation of the WST/WSTplus application within their own production environment can rely on Exypnos Systems to manage the entire polyurethane operation. In such cases, Exypnos will handle the overall engineering and in-house implementation of the installation. This applies to both framing and gluing applications, or a combination thereof. With extensive experience in polyurethane manufacturing, mainly in the automotive sector, Exypnos has the necessary in-house process and material knowledge and skills to generate efficient and reliable production systems that deliver products that fully comply with the required specifications. From its production department in Kruibeke, Exypnos delivers flexible moulds to its customers worldwide. 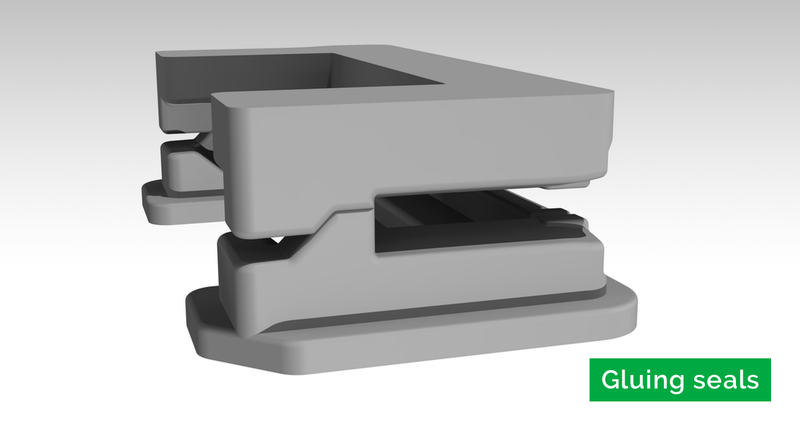 Primarily for WST/WSTplus applications, but also for other applications in which the specific properties of our flexible moulds offer added value. In order to guarantee the supply of these high-quality profiles to its customers in the best possible conditions, Exypnos set up its own silicone production department. The 2-component low pressure dosing installation mixes and injects the silicone into project-specific aluminium WST/WSTplus moulds. Having undergone meticulous quality inspections, the flexible profiles are packed individually and delivered to our customers worldwide. Exypnos constantly strives to optimise the design, production and material of the moulds, with a specific focus on their functionality and lifespan. In terms of materials, Exypnos managed to substantially extend the lifespan of these flexible moulds by adapting standard Wacker Elastosil® RTV Silicones. This material upgrade is implemented in our production department in Kruibeke using a patented method. Using its unique silicone material, Exypnos also offers added value in other production processes in which flexible moulds can be applied and lifespan is a critical aspect. The silicone bond ensures that the polyurethane adhesive ends up between the adapter and the glass and doesn’t drip down the glass. Thanks to the upgraded silicone material, our customer can execute twice as many bonds with the same seal using the Exypnos gluing seals, compared to previously used materials. 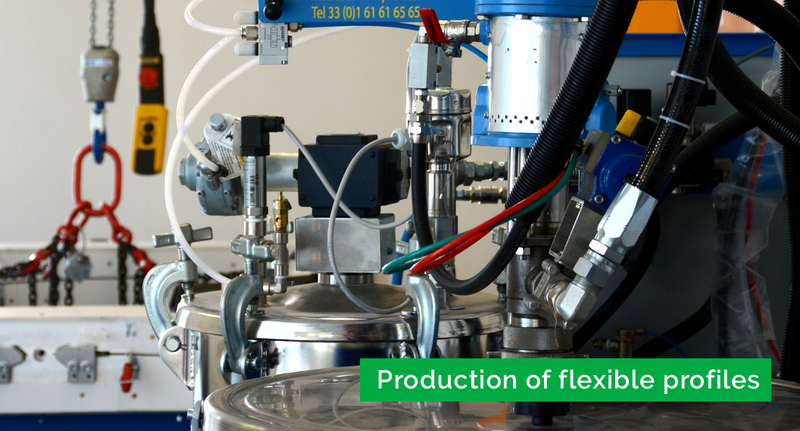 The flexible Exypnos Systems gluing seals have a considerably longer lifespan than other injection materials.